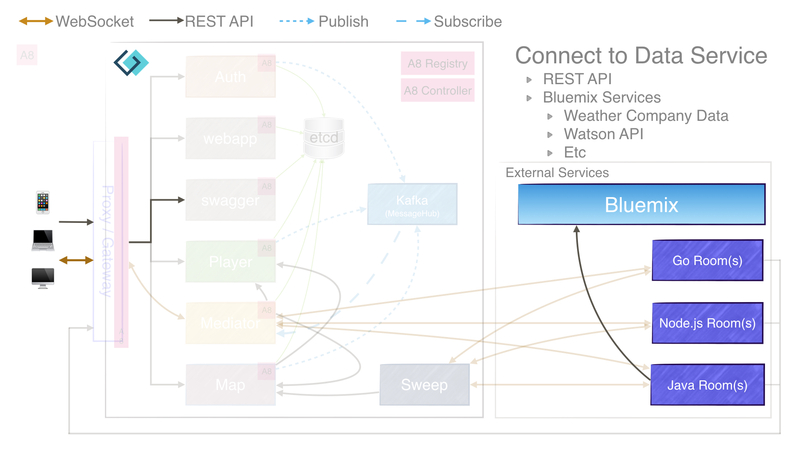 Weather Room · Exploring Microservices — Game On! Game On! is desgined as a fun way to explore microservices, right? So our rooms are the microservice and we can write some puzzles, etc for them. But shouldn’t room vistors be able to interact with other microservices? Maybe outside of Game On!? I’m re-learning some programming techniques after being on the operations side of things for quite a long time. So I was excited, challenged, and a little scared to start programming again. Where to start? Well how about at the beginning with the Java sample room? I’ve written many applications over the years but most of those were pretty stand-alone (databases not included). I see the advantage of writing a small microservice to process requests. I hope you can learn a little here.